I’m hosting a FREE Gift Giveaway – Follow Your Passion and there are 16 amazing free gifts that are all about helping you get more in-tune with what you most want to do. … did you get yours yet? If you did, thank you for shopping our Heaven and Earth Angels Online Crystal Shop! If not, please do not let this opportunity go by … get that special crystal TODAY because tomorrow … everything goes back up to full price. That’s a savings of 20% … but it all ends today at midnight, March 22nd. … I want you to have these special crystals to help you connect to your inner intuitive self, your guides, Source and your Angels because even if you don’t think or feel you’ll need them today, believe me you’ll wish you had taken me up on this special savings. So please … take advantage before ‘not you’ gets it and the prices go back up to full price. PS … going, going almost gone …. Spring Equinox 20% off sale, special one-of-a-kind crystals, minerals and Singing Bowls ends in less than 24 hours! Everyone’s super busy these days especially with the transition from Winter to Spring, time changes and the Spring Equinox … wanted to be sure you saw these amazing crystals, minerals and Singing Bowls so you can get in on the 20% savings while there’s still time. Just 48 hours left to shoppe and get in on the 20% savings before sale ends. These special, one-of-a-kind crystals to help you connect to your intuitive, Guides, Source, Angels and Spirit because even if you don’t think or feel you’ll need them today, believe me you’ll wish you had taken me up on this special savings. The more you are able to connect with the messages and guidance being given to you. the easier it is going to be to fulfill your purpose, start or grow your Spiritual business helping others achieve their dreams and goals. PS … time is getting short … just a few days left to get in the savings Spring Equinox Sale 20%, special one-of-a-kind crystals and minerals waiting for their new homes. Spring Equinox Sale 4 days only! In celebration of moving from Winter into Spring, a time of re-birth and renewal, for the next 4 days, save 20% off ALL crystals! That’s a savings of 20% … but it all ends March 22nd. … I want you to have these special crystals to help you connect to your inner intuitive self, your Guides, Source and your Angels and Spirit because even if you don’t think or feel you’ll need them today, believe me you’ll wish you had taken me up on this special savings. PS … Did I mention 4 days only? Spring Equinox 20% off sale, special one-of-a-kind crystals, minerals and Singing Bowls ready to be chosen by you to help you raise your vibration from the inside out. 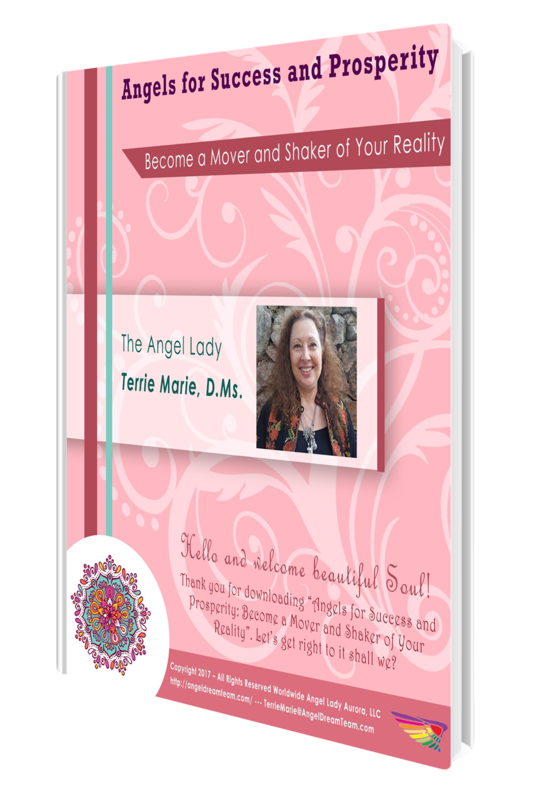 It’s Terrie Marie the Angel Lady and I wanted to let you know that this BLOG site is MOVING to my NEW SITE!!! More exciting Articles are being channeled just for you AND you don’t want to miss a single one!!! PS…. 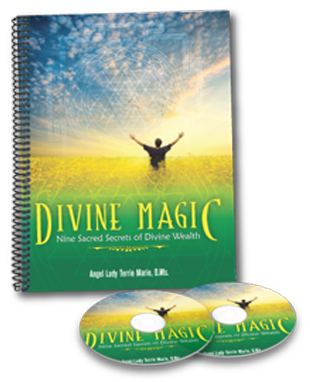 I have a brand new COMPLIMENTARY 3 video series about Angels and your Inner Wealth Frequency!! !